The US-UK Fulbright Commission is delighted to announce its UK Summer Institute participants for 2018. This summer, 59 American undergraduates are in the UK for three- or four-week academic, cultural and social programmes at some of the country’s top educational institutions. In its 70th anniversary year, the US-UK Fulbright Commission are proud to also be celebrating the ninth year of the Summer Institute programme and the partnerships offered since 2010. Coming from 30 different US states and 41 different universities, the selected students this year not only excel in their academic achievements, but also demonstrate a dedication to their local communities, and a desire to act as ambassadors for the US whilst in the UK, and then once they return home, for the UK, the Fulbright Programme and their hosts. The Fulbright Commission selects its Summer Institute participants through a rigorous application and interview process. In making these awards the Commission looks not only for academic excellence but a focused application, a range of extracurricular and community activities, demonstrated ambassadorial skills, a desire to further the Fulbright Programme and a plan to give back to the recipient’s home country upon returning. Fulbright Summer Institutes cover all participant costs. In addition, Fulbright summer participants receive a distinctive support and cultural education programme including: a comprehensive pre-departure orientation, enrichment opportunities in country, a re-entry session and the opportunity to join our alumni networks. 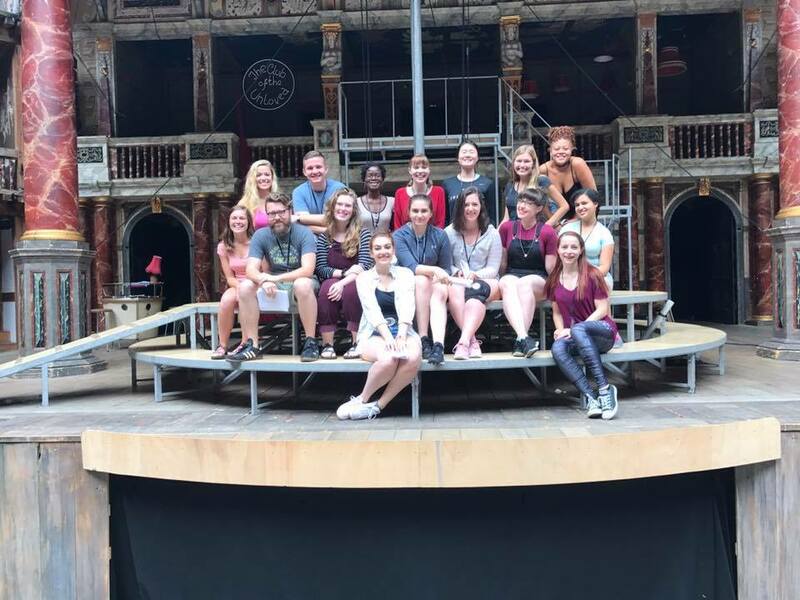 Three students will attend a three-week programme at Shakespeare’s Globe Theatre in association with the American Institute for Foreign Study. They will work with professional theatre practitioners at the Globe, participate in movement and voice workshops, scene rehearsals and develop their knowledge and skills in the field of Shakespeare studies and drama. They will also participate in a wide range of social and cultural activities around London. The selected participants for 2018 are: Leah Dooley from Seattle University, Steven Vargas from the University of Southern California, and Sarah Wilson from Denison University. The Aberystwyth University Summer Institute in Wales is themed around contemporary issues of identity and nationhood. The participants will learn about Welsh culture, history, its geographical differences and the role that industry has taken in shaping the historical, political and cultural landscape of Wales. Participants will also learn about its role and influence, both nationally and internationally. 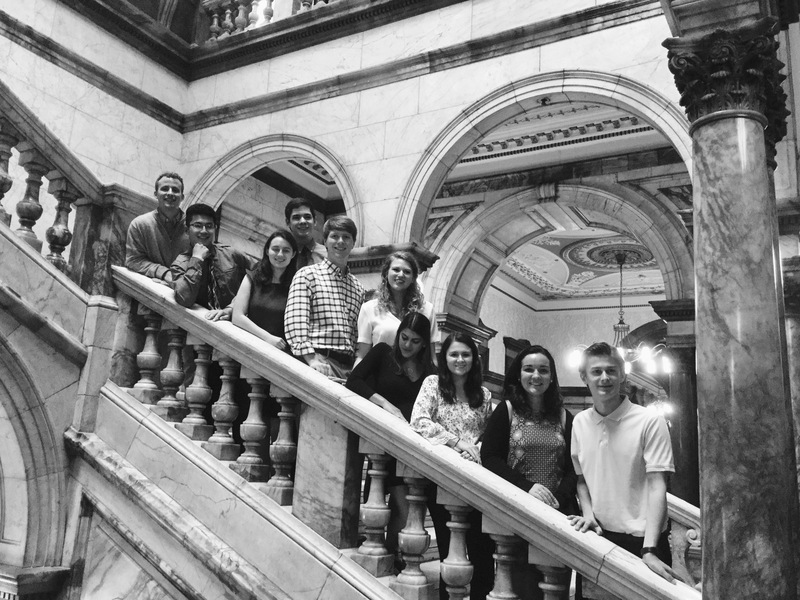 Students selected to participate in the 2018 Aberystwyth University Institute are: Justin Heywood from Arizona State University, Blake Jackson from Colorado State University, Isaac Keller from Western Kentucky University, Camila Sejula from Gettysburg College, Sarah Shapley from Allegheny College, Kevin Treadway from Syracuse University, Janet Webster from Sarah Lawrence College, and Catherine ‘Casey’ Wilson from Roanoke College. In this new Summer Institute partnership with the University of Birmingham, six students will spend four weeks learning about the theoretical and practical aspects of Film and Media in the UK at their International Summer School. The selected participants for 2018 are: Ryan Harris from Georgia State University, Leila Hoffpauir from the University of Southern California, Brittney Loper from Syracuse University, Emily McTyre from Middle Tennessee State University, Jillian Nguyen from the University of California, Davis, and Jenna Novosel from Roanoke College. This Institute programme with the University of Bristol will once again host ten Fulbright students on their Summer Institute. Participants will attend courses on the theme of social justice, activism and art. 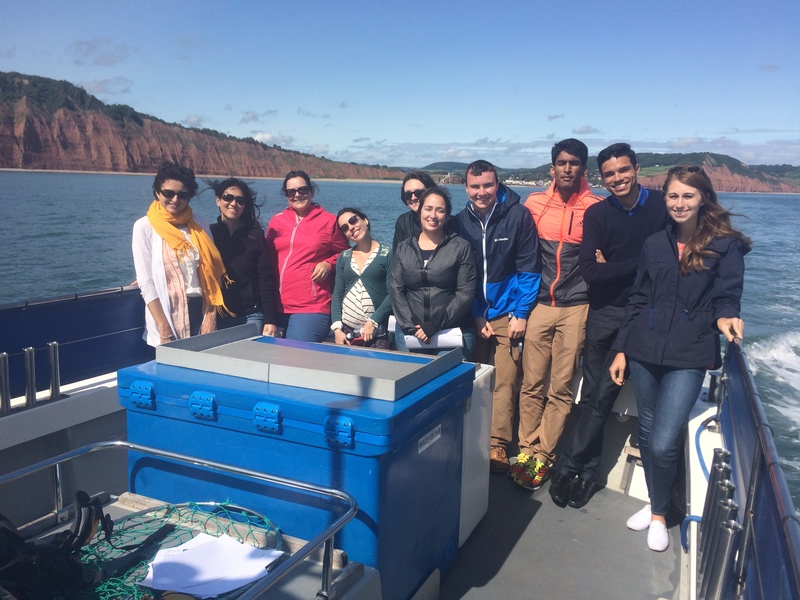 As well as undertaking classes during their four-week Institute, students will also get a chance to learn about the city of Bristol and the culture, heritage and history of the UK. Participants selected for 2018 are: Brian Brown from Florida State University, Corinne Gillenwater from Villanova University, David Gomez from Georgetown University, Samaria Henry from Georgia State University, Kelsey Keith from Middle Tennessee State University, Trevor O’Connor from Georgetown University, Michelle Reilly from Loyola University Maryland, Ashley Rosado from Florida State University, Marguerite ‘Maggie’ Waller and Miranda Yousif from Arizona State University. The Institute at Exeter will have four students focusing on climate change and the environment. The first week of the four-week Institute will be a ‘Fulbright week’ with a programme particularly designed for the Fulbright participants, after which they will join one of the many choices in the University of Exeter’s summer school pathways of study. Selected participants for 2018 are: Nicholas Hall-Skank from the University of Montana, Liam Monahan from Northeastern University, Madisyn Smith from Butler University, and Jeremy Ward from the University of South Carolina. Six Fulbright students will spend four weeks at Queen’s University Belfast, the majority of which will be spent on the University’s Irish Studies, Conflict Transformation and Education for Transformation Summer Schools. In addition to learning from leading academics about Northern Ireland in terms of its national and international political, economic and cultural relationships, students will also explore the theme of Understanding Ireland: Northern Perspectives. Selected participants for 2018 are: Ainsley Ash from the University of Mississippi, Natalie Campbell from the University of Tennessee, Knoxville, Cala Coffman and Allison Higgins from American University, Perla Echeverria from San Diego State University, and Michael Gasior from Carlton College. Five students will be able to take full advantage of London as a classroom as they attend the University of Westminster Summer School on a three-week programme of study whose theme is ‘Future Leaders in a Global Age’. This theme will be explored through bespoke workshops for the selected Fulbrighters, Students will be exposed to a wealth of history and culture through museums, galleries and tours throughout London. Participants selected for 2018 are: Danielle Anderson from Nebraska Wesleyan University, Brian Lacy from the University of Nebraska—Omaha, Eliana Lord from the University of South Carolina, Michael Mitchell from the University of Illinois Urbana-Champaign, and Janaisa Walker from Syracuse University. The University of Strathclyde and the Glasgow School of Art in Glasgow will be hosting ten students who will leave with a unique perspective on its pioneering role in technology and innovation. Students selected to participate on the 2018 Institute are: Michael Blank from Georgetown University, Teayanna Leytham from the University of Notre Dame, Robert Magee from the University of South Carolina, Alaina Marra from Syracuse University, Danae Martin from Vanderbuilt University, Mariam Massound from the University of Alabama—Birmingham, Makenna Pennel from the University of Oregon, Manuel Regalado from Florida State University, Jeren Stewart from Monmouth College, and Megan Waxman from Butler University. Read the 2018 Summer Institute participant bios.